Don’t miss this week’s Healthy Offer from Savingstar! 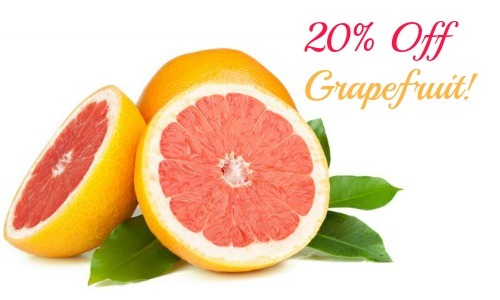 Through 5/4, you can save 20% on any single purchase of loose grapefruit at participating retailers. Grapefruit can be a delicious and sweet snack, so go ahead and stock up. Not a member? It’s FREE and super simple! This coupon expires on 5/4 and is good for one use only. You can use Savingstar at Publix now too!